Owner Marc Berlin runs a large bookstore in historic downtown Bangor. Occasionally one of Bangor’s hometown authors, Stephen King, can be found visiting. 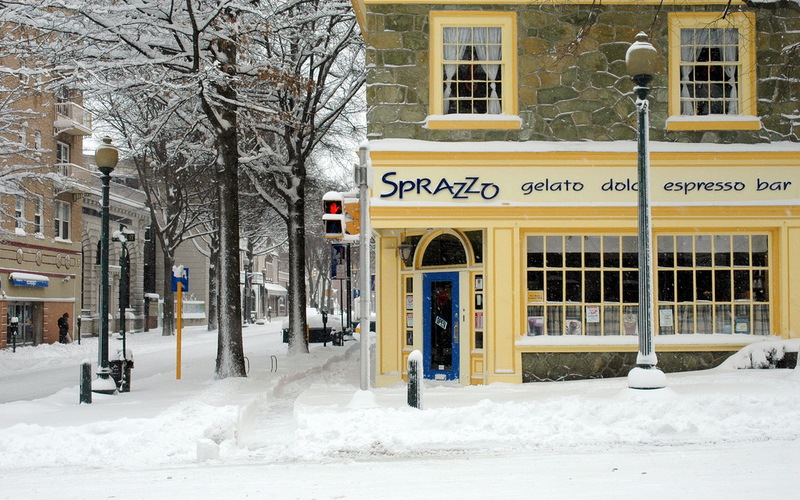 Bangor’s historic district is charming. The surrounding hills are lined with street after street of residential masterpieces. If you like to do drive by house gazing, Bangor has one of the largest varieties of historic American residential architecture I’ve ever seen. There are great places to stroll. Downtown boasts excellent places to eat. A must is The Friar’s Bakehouse! Please stop in and tell Marc hello. He was so supportive of the book and gave me the best terms of any of the other stores to date. Bangor is right off of Interstate 95 and a great visit before or after Bar Harbor. If you run into Stephen King, lucky you! Click here to see what is my favorite Stephen King movie. Portland Maine is a beautiful city with a restored historic waterfront. Longfellows is easy to get to and easy to park. They stamp your ticket from the parking garage next door. Excellent children’s section. After you buy my book, grab your bikes off your car, peddle three blocks down to the waterfront, and take the ferry over to Peak’s Island. If it is Thursday, time your visit to watch the trash truck do its ballet off the ferry onto the landing as the ferry’s bow dips, its propellers leave the water and the truck just makes it on shore. Peddle to the south side of the island and park yourself on the beach to read, or head east to the long stretches of rocky beach coves. Endless tidepools full of critters wait for your family’s inspection. Now doesn’t this sound better than going on Amazon and waiting five to ten days for a package? Matt at the main counter was very friendly and took my books right away. Please thank him for me. When Chris gets back from vacation, please call him and ask how many copies of Second Sight are still available. Thanks! Second Sight should be in their hands by July 26 2010. The store is about a 1/2 mile south of where Route 54 intersects Route 1 and is located a block from the beach on the west side of Route 1. My deepest thanks to Heather Powell for volunteering to take time out of their vacation to drop these books off. Jon and Heather run a pain free top notch dental practice in Pottstown, Pa. If you are a big chicken about visiting the dentist (like me!) please consider Dr. Powell for your next over due dental visit. He is so good, even getting the Novocaine shot is completely pain free. I kid you not! Plus Heather the business manager puts you at ease the moment you step in the door. Thank you for checking them out! 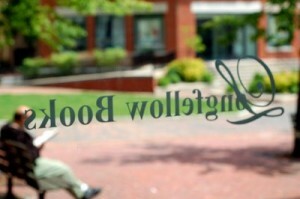 And thank you for checking out the Bookstore at Bayside Plaza. Cindy the owner was very nice over the phone and accepted the book without hesitation. Again if you have the chance to call the store and inquire about the book, I really appreciate it. All of this helps gets Second Sight into national distribution, helps me get the rest of the series finished, and helps get a lot of children off of the refuse piles around the world, and into safe, nurturing homes. That is the dream anyway. The first tithe check went to the Mission Society last week. Thanks to you we helped two children. For me, knowing they have a home makes all of this worthwhile. This is a big break for us. Atlantic has over a dozen stores. If the book sells at the Cape May store, we should be able to negotiate placement in the rest of the stores. The Cape May store fills the inside a restored bank building. Two floors of everything. Nice kids section. If some of you happen to be vacationing near Cape May, New Jersey and need summer reading, please stop in and ask for Second Sight. Yo, you talkin’ to me? Thank you again for supporting local businesses. The store owner Joe was very helpful. This is a small Christian bookstore and gift shop. It is in quiet North Wildwood and on the easier shore route if you are heading down to Wildwood from Philly or points north. Parking is free and easy. You might spot a beach home you’ll want to rent next vacation. 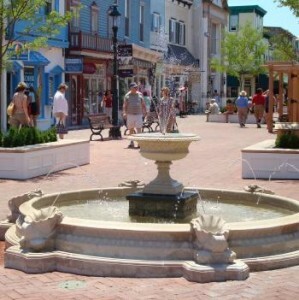 Ocean City, New Jersey is a wonderful shore destination. My family has been coming here for three generations. Atlantic Books has two locations on the boardwalk at 8th Street and 12th Street. Come down for a day on the beach and head up to the boardwalk whenever the sun gets to be too much. If it starts to rain, dash up to Atlantic, buy my book, and hang out at one of the great eateries until the storm passes. The beach will have cleared out leaving you with excellent choices on the sand where you can relax and read between swims. If you have time to explore the shore further, Ocean Grove is a great historic Camp Meeting town. The Bishop Janes Tabernacle is acoustically outstanding with an excellent program of inspirational music and worship. A big thank you to Christine and her boss for placing my book in their store. This was the first time I had driven through Princeton, New Jersey. Beautiful campus and town. The link I posted gives you reviews about the store. It is convenient and well stocked. They put my books on the front shelf ! All the copies are signed. Thank you again for patronizing the independent bookstores. Helping small businesses helps your community. I confirmed with the Manager Bonnie that Second Sight is on their shelves ! My thanks to Kathryn Craft for making this connection for me. If you need a manuscript edited or nudged, she is the person you want to talk to. She got my story in shape! Anybody visiting Bethlehem must visit this store, especially during holidays. They have a massive book section complete with cafe, music section, children’s section, and huge Christmas and gift store. They are dedicated supporters of local authors and our writers club, the Greater Lehigh Valley Writer’s Group. Small friendly bookstore in the middle of Dallastown. Nice selection of paperbacks and hardback titles. My book is on the front counter! Easy parking in front of store. Large Bookstore with wide selection of titles. Easy parking and very friendly staff. This is my home town. There is so much history here. My grandfather was a pastor and lived in a parsonage that George Washington stayed in. The store carries a huge selection of titles and is deeply committed to supporting the local writing community. While you are in town, visit the Mercer Museum and walk through the town. There are plenty of treasures waiting for you to discover. Unique bookstore that is very family friendly. You could spend a couple hours hanging out here. Classy store with knowledgeable staff. Great gifts and excellent title selections. Please check them out and help support the local business community. 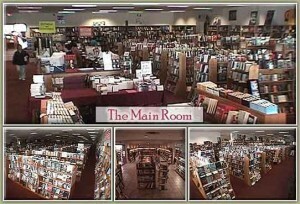 This is a spacious store with lots of titles and gifts. Mark and Rachel are great people to meet. You will be glad you took the time to have a conversation with them. Turn in off of Route 309 and follow Route 313 into the center of town where the road splits one way both directions. The Friendly Book Store is near the Train Station on the right. 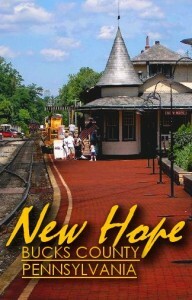 Buy the book and then head back towards 309 to McCooles Red Lion Inn. at the corner of Broad (313) and Main. McCooles is an historic inn dating back to 1750 and the focal point of the famous Fries Rebellion of 1799. I have eaten here and love it. The food is excellent, not expensive. The atmosphere is casual and steeped in history; a perfect place to curl up and read a book when the outside world gets too nuts. New Hope is a popular historic village nestled on the Delaware River. Perfect place for browsing, shopping, dining, and hanging out in fun eclectic bookshops. If you want the relaxed, tucked away atmosphere of the small town independent bookstore, Farley’s delivers. The building whispers history with every floorboard creak. Check them out, tell Julian I said hi, buy several books from him, and then head down the street to A Mano Galleries and ask to see the wire sculpture of Jordan falling from his rope! If you are looking for a cool gift, how about chocolate and my book? The owner is putting together a special package of chocolates (shaped like pyramids last I heard ) and gift wrapped with Second Sight. I am a chocoholic and Sweet Ashley’s is superb! They make their own chocolate on the premises. Tell Connie I said hi! Huge bookstore with just about every title plus wide range of office supplies and gifts. Located in very cool restored barn. Convienient to the Reading PA area. Tell Mary I said hi! Books 4 Less A large bookstore convenient to the Pottstown PA area. Friendly staff. I noticed they encourage reading in children with some interesting incentive programs. 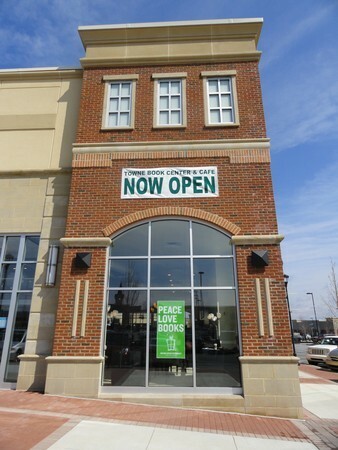 The store is large, spacious and very convenient off of 422 and 29. Great place to hang out at the cafe with a good book, of which they have many! If you stand outside of the entrance to Wegmans and look across the parking lot you will see Eastern Mountain Sports. Just to the right of that is Towne Book Center & Cafe !! 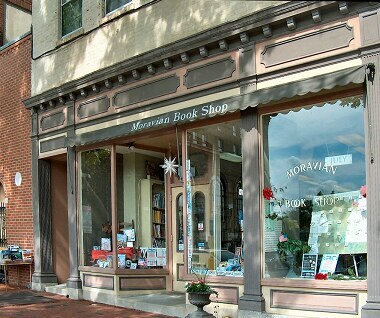 This is the largest independent bookstore in the Eastern United States. It has more floor space than a Borders. There is a great Cafe and plenty of titles on anything. They have a pile of my books and have asked me to come do a book signing and a power point talk on my travels and research. Dates and times to be announced. Probably in September or October this year. This was a huge break. I am so grateful to them. Tell Michael I said hello and thank the staff for being such strong supporters of the writing community. West Chester is one of the first three counties organized by William Penn. It is about as historic as Pennsylvania can get. 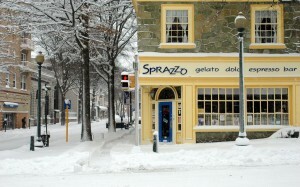 This is a great town to visit and explore any time of the year. I hope you can visit! Mainstay of Lehigh Valley area. They are huge and have just about everything. After you stop here, turn north, away from I 78, and discover just how beautiful our valley is. These stores are reviewing Second Sight and negotiating terms. If you are in town , please consider stopping and asking about Second Sight. Thanks! This is a nice Christian Bookstore across from the Bangor Mall, next to Interstate 95. They are considering the book for consignment sale. I don’t have any copies left there so please don’t go to the trouble of driving over just to get my book. They are well worth checking out for any inspirational books and gifts. Please consider giving them a call and encourage them to carry Second Sight! Thanks! Great location with easy parking. Large selection of books and geared for family. This place is cool. Tucked away near the old city square in the center of Easton Pa. Nice coffee shop. The place is lined with books. They sell new and used books according to the wait staff. Great breakfast and lunch spot. I haven’t been inside yet. But there seemed to be alot of enthusiastic comments about this store. They appear to be very dedicated to supporting the writing community. I dropped the book off and had a nice conversation with the owner. Huge store, convenient to the Souderton and Telford Area. Great selection of titles, music, and art. Wonderful staff. I discovered this store in Quakertown PA. 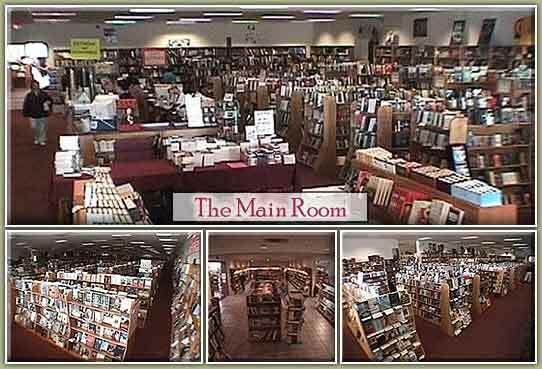 It is a fantastic, tucked-away kind of store with great charm and tons of titles. You have to check this place out. It is on the other side of the galaxy from the term “chain”. I am excited to see Second Sight in bookstores. I pre-ordered a copy and am glad I did. Only 1/3 of the way through the book and I am hooked. I can see the characters of this book on the big screen. I was privileged to have a conversation with Mr Althouse and can rest assured knowing there will be books to follow. Jack. i love the book it is like we are running around together again. I have finished the book and want more. I am impatiently waiting for my husband to finish so that we can discuss what happened and what we think may happen in the upcoming books. I believe that word-of-mouth referrals/recommendations are truly powerful and that’s what I’ve been doing. To not read this book is to miss out on a small piece of Nirvana.